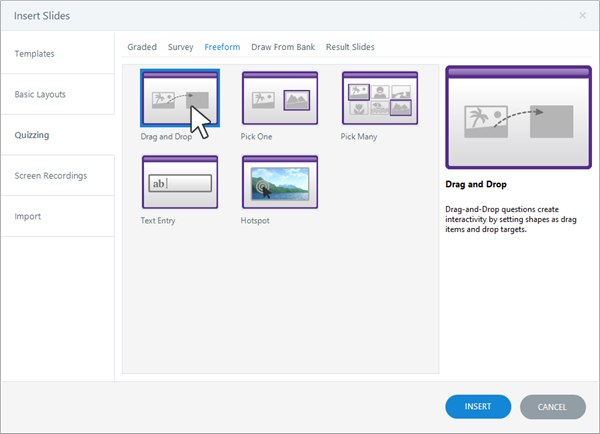 Articulate Storyline's freeform drag-and-drop question type lets you add interactivity to normal slide objects. 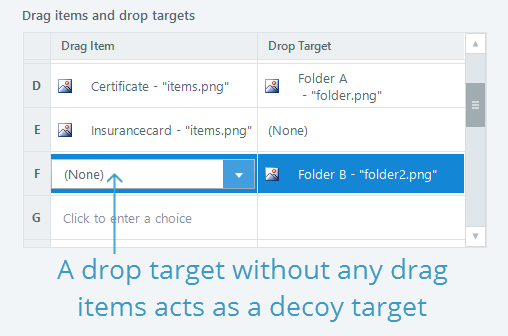 Just indicate which objects are drag items and which are drop targets. Click the Freeform tab at the top of the window and select Drag and Drop. 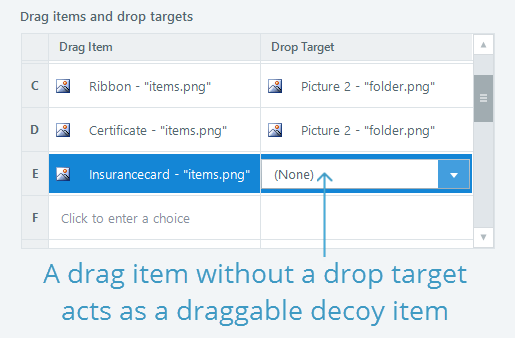 Place your cursor in the Drag Item column, and use the drop-down selector to identify the objects you want learners to be able to drag. As you scroll over items in the list, Storyline outlines them in red on the slide thumbnail on the right side of the screen, so you can see what you're selecting. In Form View, go to the Question tab on the ribbon and click Drag & Drop Options. In Slide View, go to the Question Tools—Design tab on the ribbon and click Drag & Drop Options. 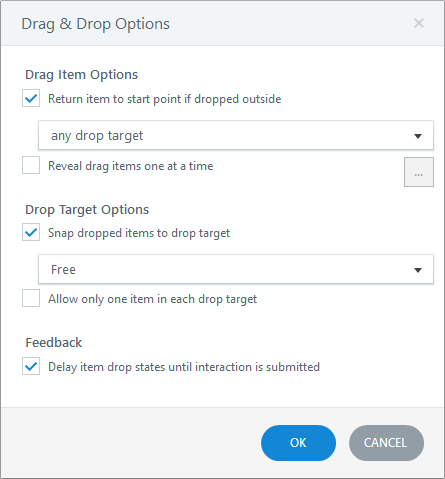 Reveal drag items one at a time: Mark this box if you want drag items to appear one at a time after the previous drag item has been dropped on a target. Click the ellipsis button (...) to set the Drag Item Sequence. Snap dropped items to drop target: Mark this box if you want drag items to snap to drop targets as learners arrange them on the slide. Use the corresponding drop-down to choose how items will be tiled or stacked. Yes. It's easy. 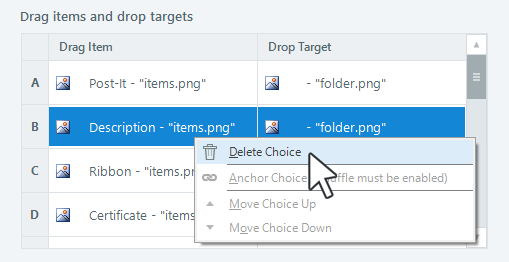 Just go to the Insert tab on the ribbon and click Remove Freeform.